Morgan (Lennie James) returns – and it’s not just a cameo, it’s in full Donatello zen warrior-style! Not only so we finally get to see Morgan for more than a couple of frames at a time, he manages to introduce us to just how sick and twisted the big bad will be for Season 6! 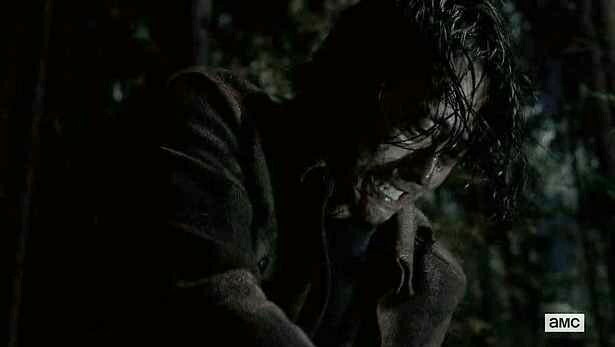 Let’s welcome the Wolves, while many had made the connection between the ‘W’ inscribed onto the foreheads of walkers and the graffiti referring to wolves, AMC finally came out into the open and let us all know for sure that this is what will be going down in the next season. What we now know are that this group of individuals actually think they are (or will evolve into) wolves. 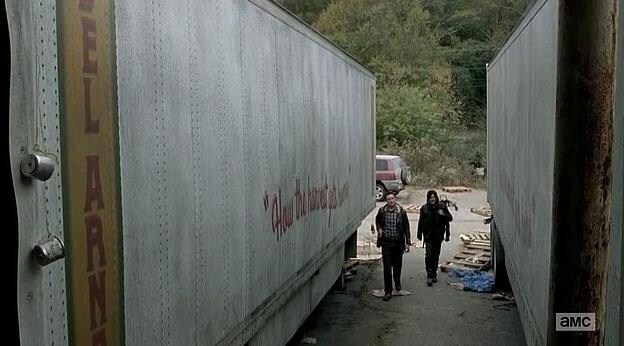 Even though their instincts are basal, they still seem smarter than the likes of Daryl (Norman Reedus) and Aaron (Ross Marquand) who don’t see the warning signs when entering a cannery and manage to open up a big ole truck-o-walkers. 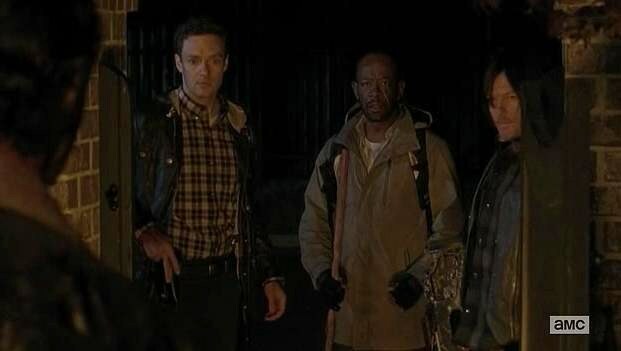 Luckily, thanks to Morgantello, Daryl and Aaron are rescued and Daryl works out that their saviour is an old mate of Rick’s (Andrew Lincoln). 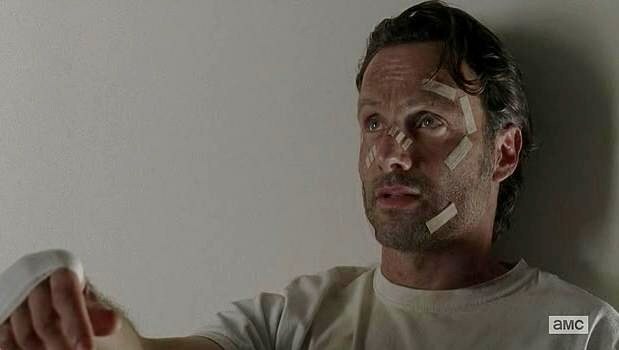 So, what’s up Rick? Seems he is all patched up and stuck in a safe house for the time being, but at least all the cards get laid on the table and now the likes of Michonne (Danai Gurira) is on the same page as the inner sanctum Rick and Carol (Melissa McBride) again. 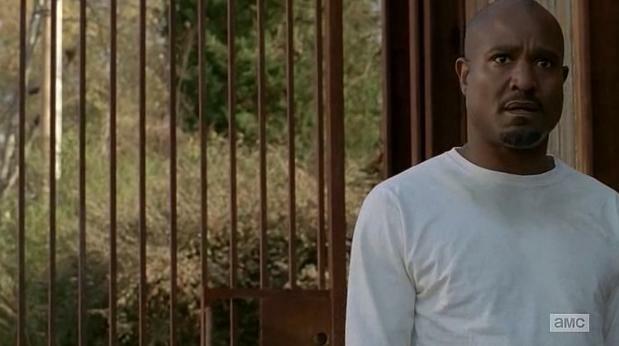 So is so messed up she ends up having a pray-in with Father Gabriel (Seth Gilliam). Remember Gabriel? Yeah, don’t think by him having a pray-in with Sasha is any redeeming quality on his behalf – he blames Sasha for being everything wrong in the world first (mental projection much Father G???) as well as leaving the motherfucking gate OPEN! Uh-huh, the gate to the Alexandria Safe Zone is left open! So, you just know what is gonna happen. Yep, walkers happen. Because they can’t smell out a human when they are standing still, but they can smell out a whole community of them when the gate is left open. Let’s talk about Glenn (Steven Yeun) and Nasty Nick (Michael Traynor) for a moment or two. It seems these two just can’t leave each other alone and Glenn can’t kill Nick even though Nick is trying real hard to take Glenn out. You know, through all five seasons of The Walking Dead, Glenn hasn’t killed a human yet, and this episode is fruitless as well. Even though Nick nearly takes Glenn out several times, Glenn is still hesitant to put out the garbage. 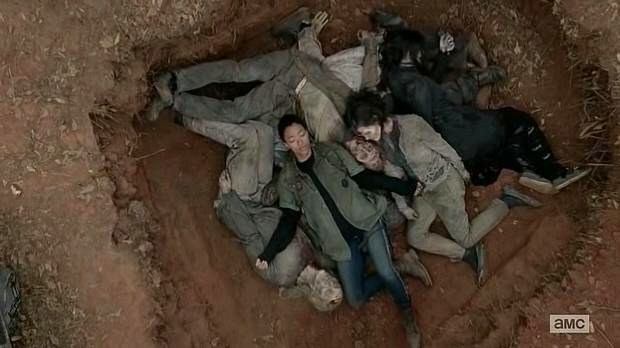 Seriously Glenn, just kill the guy already?! There is some stuff involving Tara (Alanna Masterson), Abraham (Michael Cudlitz), Rosita (Christian Serratos) and Eugene (Josh McDermitt) but this is more to remind the viewer that they are still alive rather than move the story forward any, so now we can move onto the MEETING. 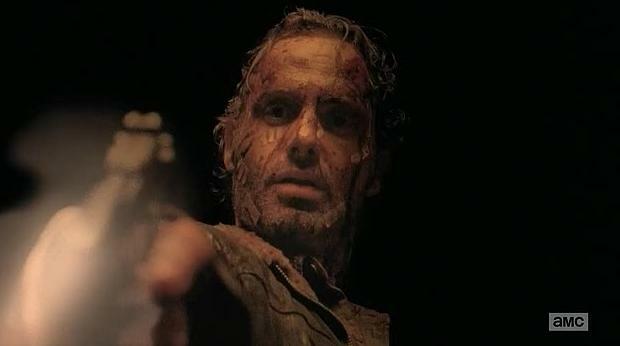 What did you think of the Season 5 finale of The Walking Dead? Let me know your thoughts by commenting below! If you have any theories on Season 6, you can add them to the Season 5 conspiracy theories page until I have a chance to set up a new post exclusively for Season 6. Also, did you pick up all the Walking Dead Easter Eggs? Compare your list with mine on my Inquistr article here.